Nearly 1 in 4 families we surveyed in Nalanda, Bihar families we surveyed in Nalanda, Bihar had at least one family member who seasonally migrated to cities for work. Making ends meet for these families is still difficult though, and it falls upon the women to augment their household income through additional work, new businesses or to borrow money to manage their cash flows. Working with SEWA, we understand how income-generating activities, especially if home-based, can help women in supplementing their family income. But many women don’t know how they can get into this or secure funds to start a business. 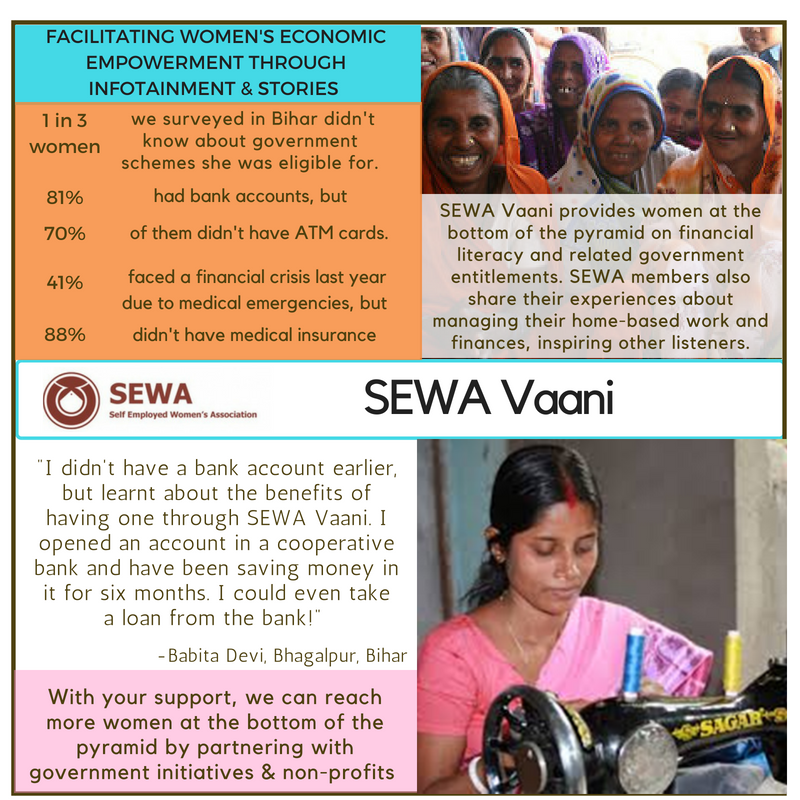 SEWA Vaani in Bihar provides financial literacy, information on government entitlements, and enables women in the SEWA network to share their stories of home-based work and inspire others. We’re looking for other partners with whom we can expand this wonderful service.